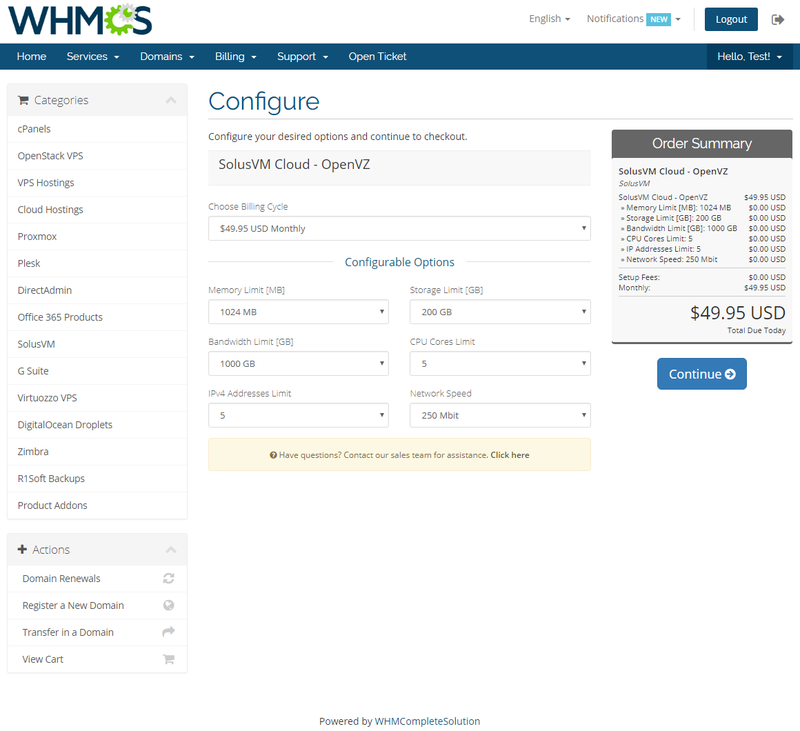 SolusVM Extended Cloud For WHMCS is an inventive module that enables your customers to create multiple virtual servers and manage them in detail directly in your WHMCS. 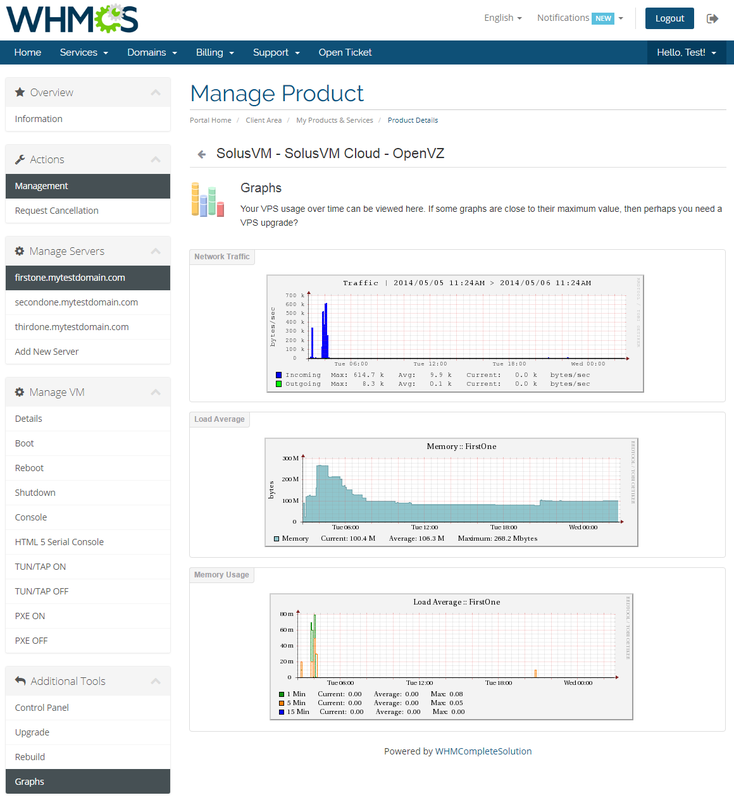 As soon as you define the bundles of storage, bandwidth, and other resources, your clients will be welcome to order them and allowed to handle any number of servers within the limits. 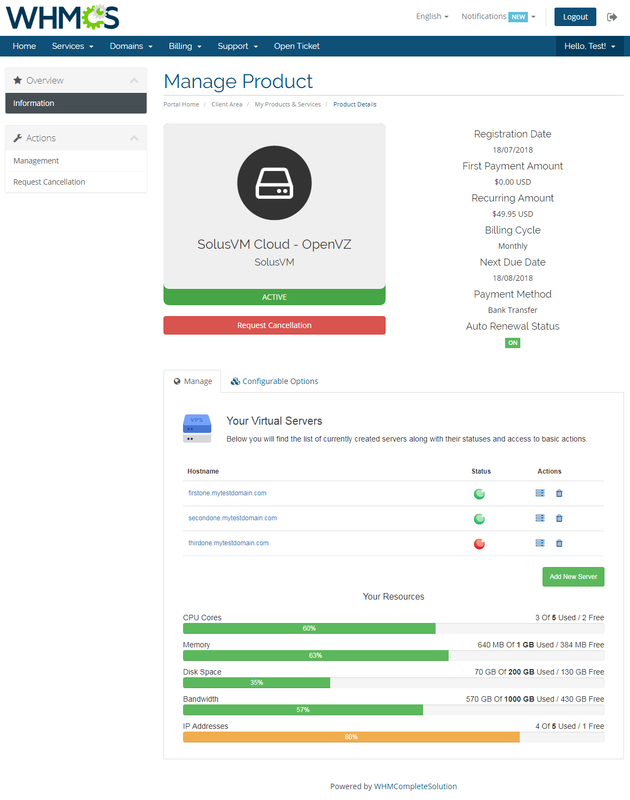 Whether it is one powerful machine or several smaller ones, the module will empower your clientele to add as many virtual servers as they find necessary. Each machine can be rebuilt or shut down in a fully remote manner, as well as booted straight to the rescue mode in the event of any defects. 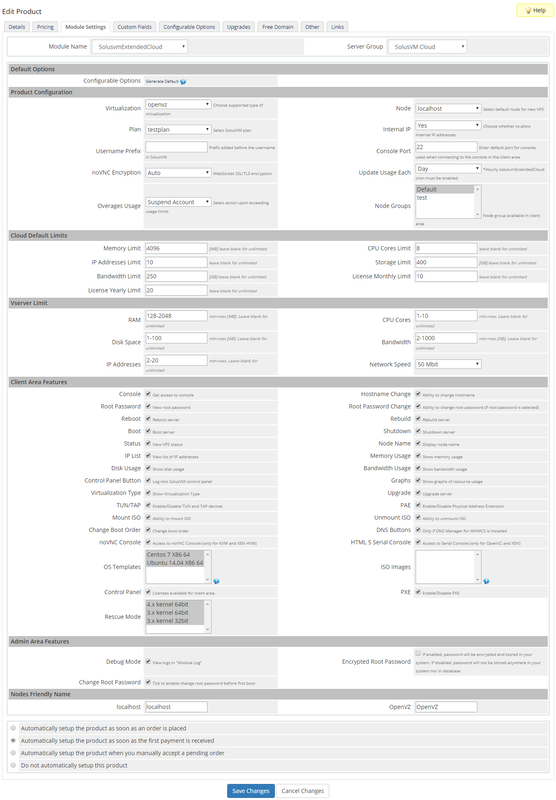 What is more, you can effectively control the resource usage by applying certain limits to the offered products. 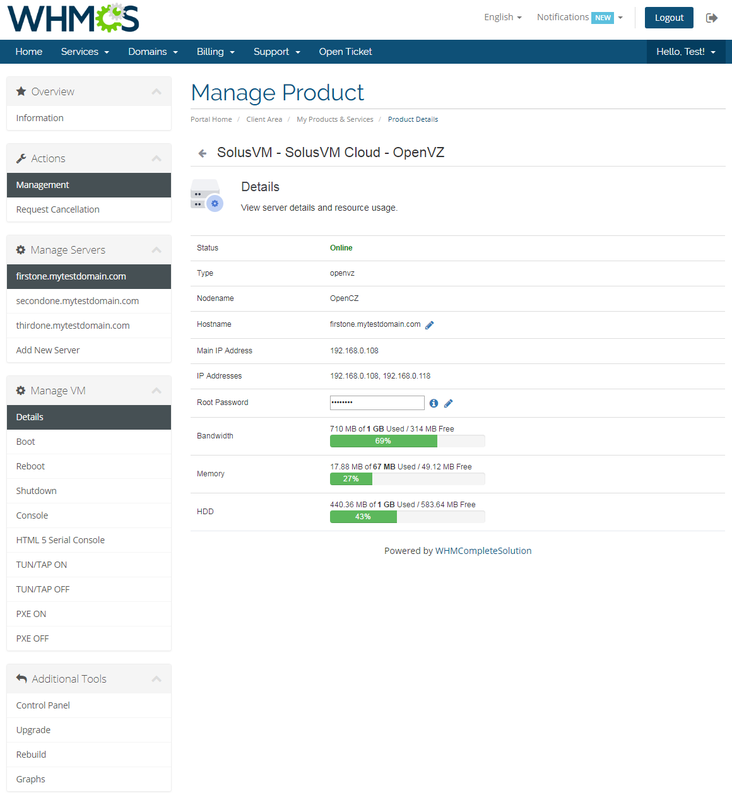 Upon doing so, customers will be required to adjust the size of each created virtual server to comply with all existing conditions. 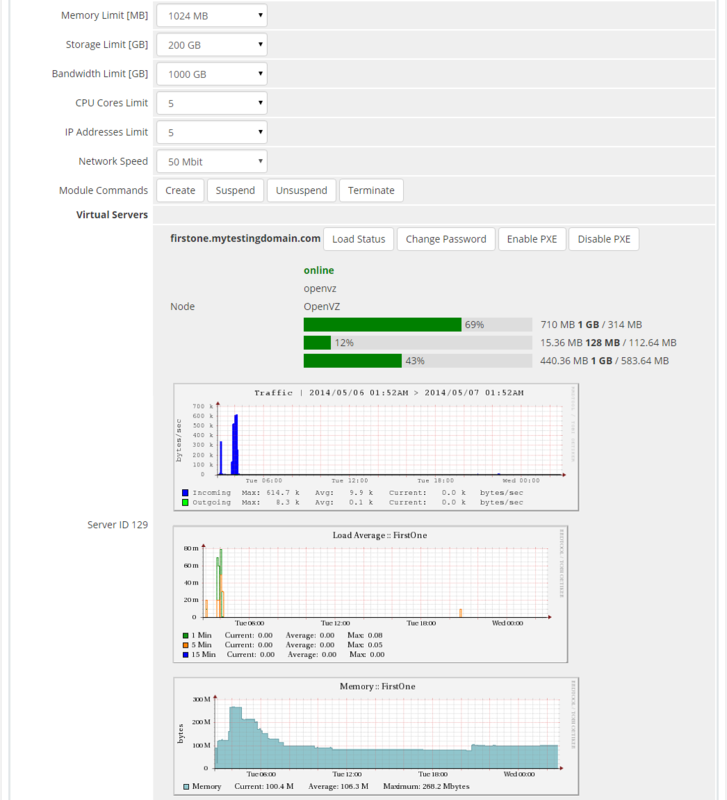 To optimize the routine actions to the max, your client area will also provide quick access to consoles and usage graphs, and even easy upgrade of servers together with their resources. 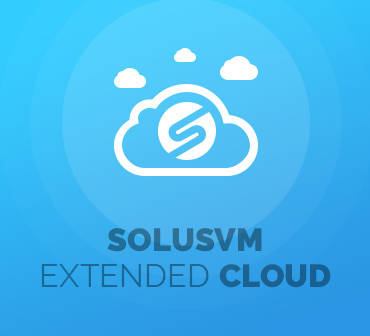 Pushing back the horizon of flexibility, SolusVM Extended Cloud For WHMCS is the world's famous formula to make your business irresistible to clients. 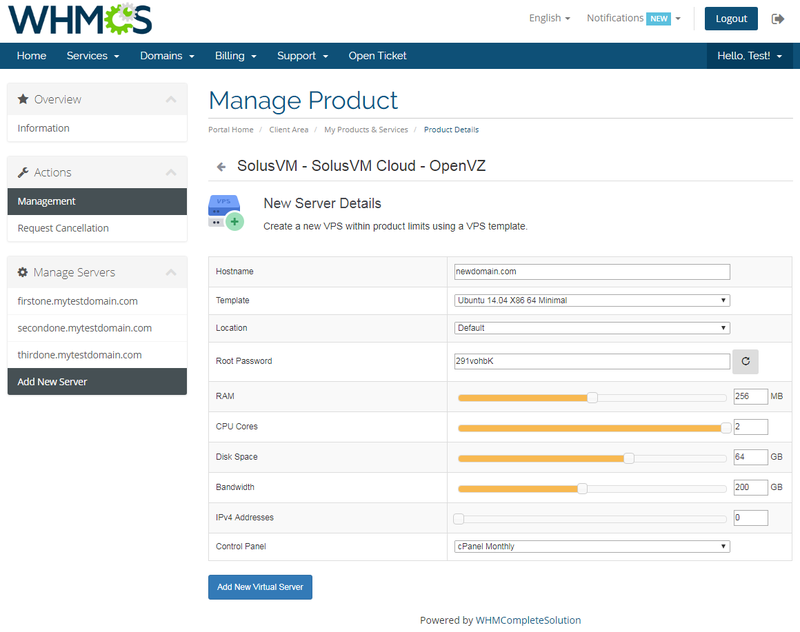 Order the module right off and have the future of server management on your side! 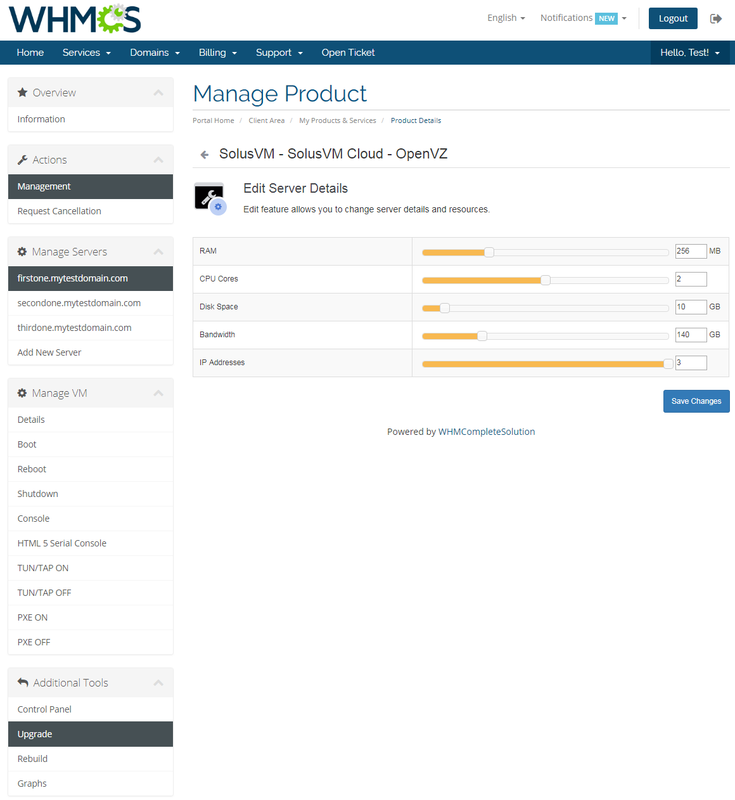 Added Suspend/Unsuspend feature in the admin area. 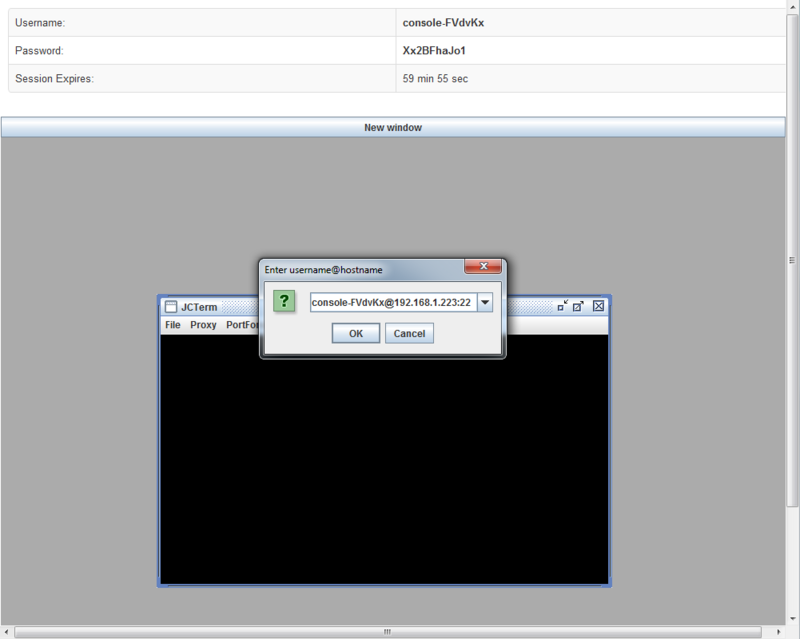 Feature allows you to quickly suspend/unsuspend all the customer's servers of certain product. 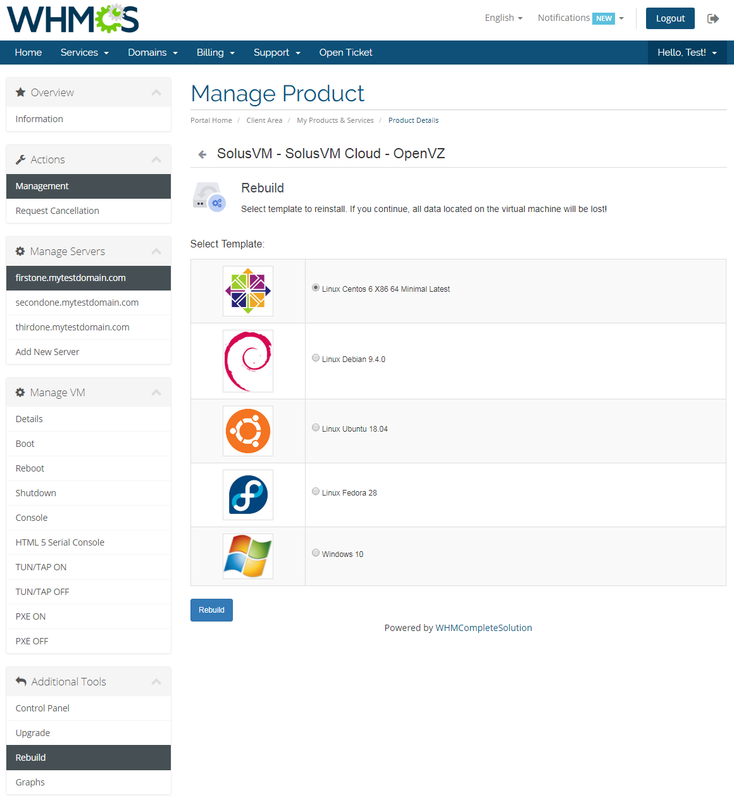 Provide your resellers automatically with complete products that consist of specified SolusVM server resources that can be further sold by them to their own clients.